Originally from Malaysia, Min graduated from the University of Arizona in Tucson with a BS in Chemistry and then challenged herself with a Chemical Engineering degree at Arizona State University. While supporting herself with work on population dynamics and genetic variations of intertidal kelp, she fell in love with research. As a master’s student, she studied protein interaction with biomaterials using atomic force microscopy, and she co-developed an AFM-based technique to study early-stage Parkinson’s and Alzheimer’s disease. She then broadened her research even further with two post-doctoral appointments in nanotechnology and food science. At UC Denver, the American Heart Association funded her research on C-reactive protein (CRP) in atherosclerosis, and at UC Davis, she developed an optical imaging technique to detect viral contamination in bacterial cultures using microdroplets, leading to provisional patent filing and much interest from the dairy/cheese fermentation industry. Prior to joining Bikanta, she was a senior research engineer at Pharmaco-Kinesis Corporation, where she developed carbon nanotube-based biosensors for point-of-care diagnostics. 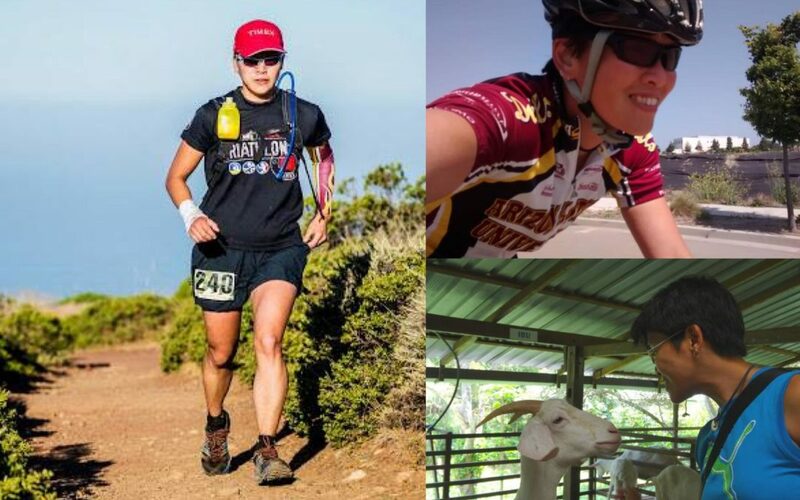 Just as her academic career demonstrates her scholarly endurance, she is deeply passionate about endurance events, from triathalons and ultramarathons to watching every single episode of the Simpsons (woo-hoo!). Now, Min brings her tremendous experience in biomolecular interactions, nanotechnology, and imaging techniques to Bikanta to characterize nanodiamonds, to assist in surface modification, and to evaluate the behavior of the nanodiamonds in physiological fluids and cultured cells. Here at Bikanta, we are driven to produce the smallest and brightest nanodiamonds for in vitro and in vivo imaging applications. As a nanoengineer, Min characterizes the fluorescence and quantifies the nitrogen-vacancy centers that make our nanodiamonds shine. She also uses electron and scanning probe microscopy to investigate particle size and dispersibility. At Bikanta, she gets to combine her passions for imaging and clinical diagnostics to redefine medical imaging technology…in other words, exactly what she has always wanted to do! At the same time, she is gaining additional training with other imaging and fluorescence techniques to add to her already vast toolbox. As an added bonus of working here, the Bay Area and Berkeley Hills give her easy access to endless trails to fuel her other obsession!